Nirvana is truly one of the greatest bands in all of history. One of the most influential musical genres, grunge first emerged on the rock scene during the mid 80’s. Born out of the angst of a disillusioned generation, the subculture was mostly pioneered by bands from Seattle and the surrounding Washington area. Of all of the iconic bands of this era, none are as influential or as memorable as Nirvana. Nirvana was truly one of the most successful acts of the genre; their sound was defined by the heavy use of guitars and Kurt Cobain’s leading vocals. After starting out as an underground band, Nirvana was able to amass a large number of fans and propel alternative rock into the mainstream, topping charts that had long been dominated by pop music. Although they only released three studio length albums due to Cobain’s untimely suicide in 1994, the influence of these albums on modern music is still very widespread. From their second album, “Nevermind,” “Smells Like Teen Spirit” is regarded as the song that truly launched Nirvana into fame, and even made its way to the sixth spot on Billboard’s Top 100. The song starts off strong with a heavy dose of electric guitar and Dave Grohl’s drumming, and then it gradually subsides before Cobain begins to sing. This pattern of heavy playing to softer playing occurs throughout the entirety of the song, something Cobain admits to have learned from another band, the Pixies. “Smells Like Teen Spirit” truly captures the frustration that was felt towards people who were simply followers of mainstream trends and seemed to have little to no depth in who they are. The anger can be clearly heard in Cobain’s voice in the chorus- Cobain screams the lyrics into the microphone. The loud and riotous nature of the song gives it an energetic quality that is sure to motivate even the most apathetic person, and the guitar solo is definitely one of the best in rock history. Unlike “Smells Like Teen Spirit,” “All Apologies” is more of a ballad than a supercharged rock song and is on Nirvana’s third album, “In Utero.” As is implied in the song’s title, the song is meant to be Cobain apologizing for his actions, which he believes are the reason for everything that is wrong. Although, the song is also seen as his “apology” to the masses who are now interested in Nirvana because he doesn’t fit the stereotypical rocker persona, or act in the way that the masses expect him to. The gentle nature of the song makes it easy to listen to; when listening to the song, one can almost visualize a field full of tall grass lazily moving in the wind, the sun providing an ever-so comforting warmth. In addition, the song features a cello which greatly contributes to the relatively calming quality of the song. “Out of all of Nirvana’s songs, I’d have to say ‘All Apologies’ is probably my favorite. I personally like how its pretty slow and calm compared to other Nirvana songs, and it shows a side of the band that many people don’t know or just forget about,” junior Isabella D’Ottone said. 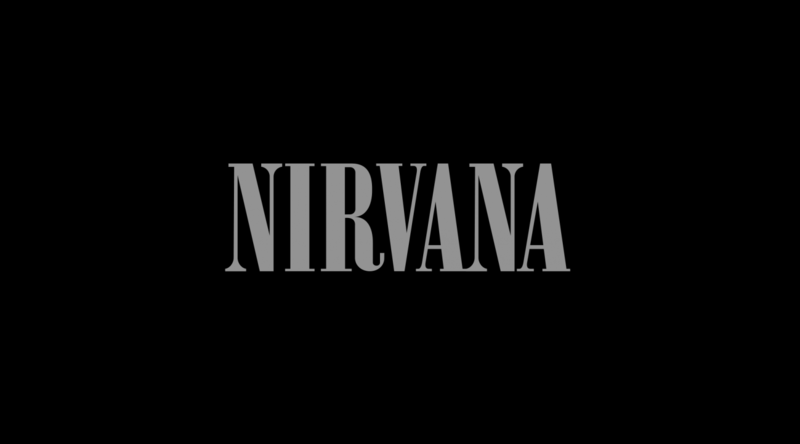 Also feautured on “Nevermind,” “Lithium” is similar to “Smells Like Teen Spirit” in the way that it shifts from calm to aggressive throughout the entirety of the song. One of the most interesting features of the song is the fact that it actually describes the struggles of having bipolar disorder (also referred to as manic depression). The shifts between calms and aggressive reflect the shifts in mood between happy and sad that are felt by someone who suffers from the disorder. The shifts are also reflected in the lyrics, as he constantly contrasts his feelings- one minute he’s “excited” and the next he “doesn’t care.” The title of the song is also “Lithium” which is also a reference to bipolar disorder because lithium is widely known to treat the condition. Despite the rather depressing meaning behind the lyrics, the melody and music of the song itself is actually quite upbeat making it enjoyable to listen. Additionally, Cobain sings in a lighter tone when compared to other songs such as “Smells Like Teen Spirit,” adding to the ironic upbeat-ness. “I don’t usually listen to grunge music, but I have to say Nirvana has songs that I really like. I like the fact that you can actually feel what they’re trying to make you feel, and they actually cared about the music they wrote, not whether or not it would make money like many songs nowadays that have no content and are produced just to make money,” senior Catherine Healy said. From their humble beginnings in Aberdeen, WA, to the unfortunate dissolution of the band due to Cobain’s death, Nirvana will always be one of the most highly regarded bands in history. After almost single-handedly propelling the grunge movement into the mainstream and establishing alternative rock as a noteworthy music genre, Nirvana’s influence will be seen in music for generations to come.